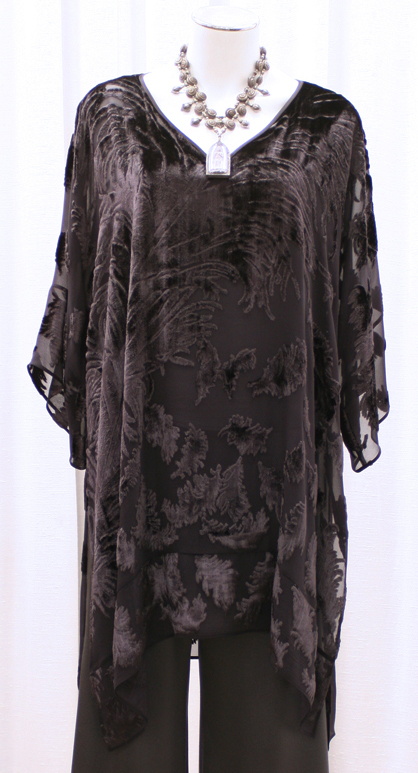 ZONDA NELLIS - VANCOUVER: 5 Easy Pieces - the Tunic-Caftan! 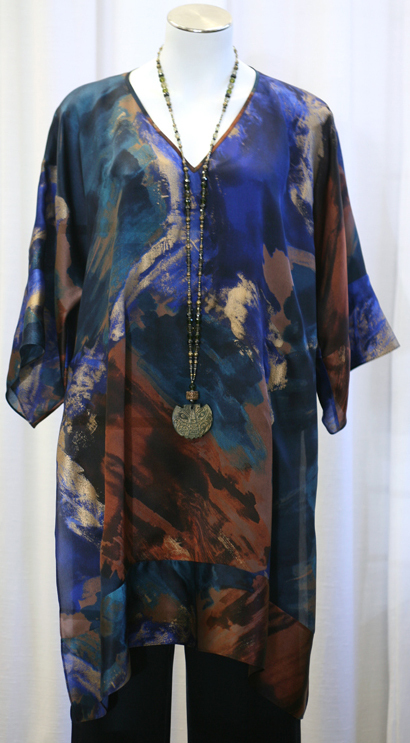 The Tunic-Caftan is our top selling style - it solves a lot of problems and it is so easy to wear! There is nothing more elegant than Winter White! Deep purple and acid green - so unique. The Tunic-Caftan also comes in solid colors in Mustique lightweight wool jersey in 22 colors; in New York heavyweight wool jersey in 9 colors; in silk jersey in 20 colors; in Portofino linen in 34 colors; and in linen knit in 10 colors. You can get it in any color you want!